High-qualifying further education training courses of the Technicon Design Academy for Automotive Designers, Product Designers, body in white experts and engineers can now receive support through education voucher and special career step programs. 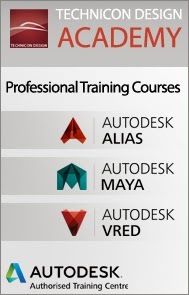 In the area of Computer Aided Surfacing (CAS), the Technicon Design Academy offers since August 2010, five AZWV certified high-qualifying training courses. Technicon Design has over 30 years experience in all areas of digital design and product development throughout the automotive industry worldwide. These activities are now all summarized under the AZWV certified Technicon Design Academy with its new training centre located at the former headquarter of Opel in Rüsselsheim. Centrally located and easily accessible by all public transport, we set standards with our further education training centre within an atmosphere of historic industrial heritage especially for digital design professionals in the field of automotive and product development. Our courses are created to appeal to post-graduates as well as to job seekers with Design and Design related professional background. We strengthen already existing knowledge and experience in design and modelling and combine them intensively with new and effective digital design applications and workflows. The design software company Autodesk, and especially their Alias software products named in the automotive design world, "State of the Art" attract more and more people and the popularity of their products is growing. Well trained employees with these special tools have improved work chances on the current local job market as well as international wide. Due to the intense and hands-on software training sessions of the Technicon Design Academy, we improve the attractiveness of each profile of our graduates significantly and boost their careers. 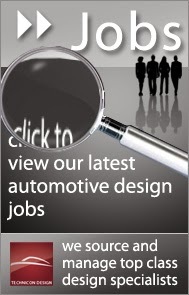 Apart from that the Technicon Design Group also assists their graduates in finding a suitable job. For more information about the Technicon Design Academy and the courses we offer please visit our website: http://www.technicondesign.com/academy.